In 2015, Congress passed the Federal Civil Penalties Inflation Adjustment Act Improvements Act to advance the effectiveness of civil monetary penalties and to maintain their deterrent effect. That law directed agencies to adjust their penalties for inflation each year using a much more straightforward method than previously available, and required agencies to publish “catch up” rules this summer to make up for lost time since the last adjustments. As a result, the U.S. Department of Labor announced recently an interim final rule to adjust its OSHA penalties for inflation based on the last time each penalty was increased. So what does that mean to you? OSHA’s maximum penalties, which have not been raised since 1990, will increase by 78 percent. The top penalty for serious violations will rise from $7,000 to $12,471 and the maximum penalty for willful or repeated violations will increase from $70,000 to $124,709. 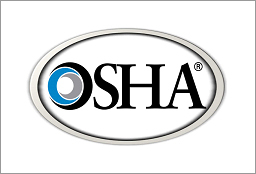 Click here to download a complete list of the OSHA penalty increase.